The Rock Royalty condo comes with two levels of space, including 4 bedrooms, 2 bathrooms, a full kitchen, balcony, wood burning fireplace, and much more. There is a pool on-site, and the central location in downtown Austin is arguably as good as it gets. This unit features accommodations for up to 12 guests (one king, three queen beds, two twin beds, an air mattress, central air and heat, a full sized stackable washer and dryer, a small balcony, free cable television, free wireless internet access, free parking (for 1 car) wood burning fireplace, and plush furnishings. With granite counter tops, renovated kitchen and bathrooms, flat screen televisions mounted on the walls, and a fantastic stereo in the living room, every detail at Rock Royalty has been considered to make your stay a pleasant one. The condo was great – a cool, unique space very close to the convention center/downtown, and perfect for everything we needed. There was enough space to spread out, but cozy enough for some intimacy. We also LOVED having the fireplace since it was a cold week in Austin. Would definitely recommend + book again the next time we’re in Austin! Awesome location. Easy access. Clean, clean, clean. Someone is always available to help you. We did notice the noise but we expected that a bit, being downtown. Limited kitchen supplies, but we did fine. We had a group of 7 ladies and we would all stay there again and recommend it. Great decor. Great welcome packet explained the property and nearby activities. Condo was well kept with nice furnishings. This was my first experience with airbnb and it was a great one. Great location, lots of space, easy check in and out. Excellent for a medium sized group. Would definitely recommend to friends. Ryan was a fantastic host. The apartment was as described, pictures accurate and spotlessly clean. The location was great and it was only 5 minutes to all the major sights. Would certainly recommend Ryan’s apartment to anyone wanting to stay in Austin and would not hesitate to stay here again. Thank you Ryan for your great hospitality! Great location. Home was very nice. Directions for occupying it were very explicit, and the weekend went very smoothly. Thanks, Ryan! Amazing location, really the perfect base from which to explore all that Austin has to offer! We were walking distance to all bars, restaurants, boutiques and cultural destinations, which made for a very easy and flexible stay. Terrific for a group that wants to experience all that Austin has to offer. The cafe inside the yoga studio across the street makes fantastic organic smoothies and bowls, highly recommend. This condo was absolutely perfect for our stay. The hosts were incredibly accommodating and fulfilled our every request. Everything about this place was great! Clean, centrally located and an overall awesome pad. Easy walks to both Rainey and 6th street. An email was sent a few days prior with information regarding amenities, host/manager contact info and local places to eat, drink, shop, etc. They even gave advice on the most cost effective ways to reach the condo. We landed sooner than expected and were able to get an early check in. If I go to Austin again, this place is a no-brainer. I highly recommend it. We had a great time at the Rock Royalty. There was plenty of space for our party of 9. The unit was exactly as described & looked great inside. The onsite staff was very helpful. Perfect location only 2 short blocks from all the action. The courtyard can be noisy outside, so not a good place for families, but we loved our time here. 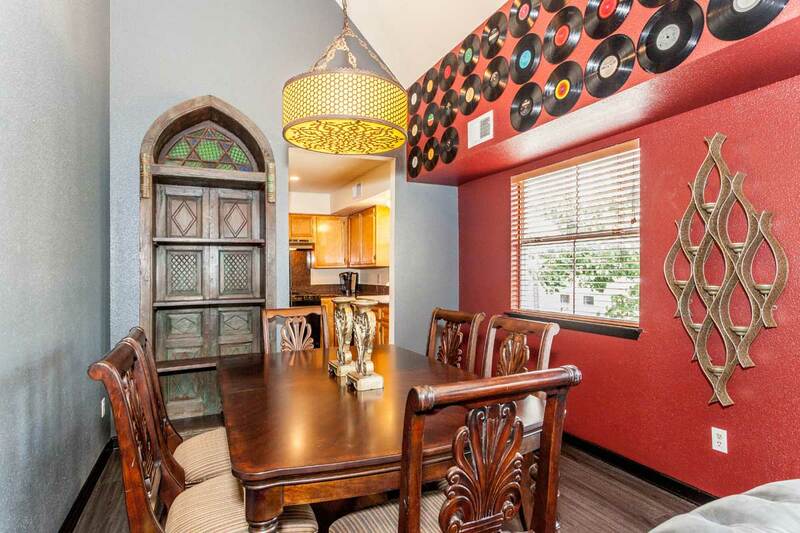 The Rock Royalty is in the perfect location to enjoy everything that Austin has to offer. Everything was as expected for me and my friends – it very comfortably hosted a large group. Ryan provided an extensive email in advance with lots of information about the property and suggestions for all kinds of things in Austin. He was also very responsive. We had a great stay. The rock royalty suite was really nice! There were 7 of us in the unit and we had a wonderful time. It is walking distance from everything! It rained one morning so it was amazing to have this big place for all of to hang out! Ryan was an easy person to work with and the room was in great condition. The apartment is located very close to 6th street / rainy street. Would stay there again! Place was clean, great location, and lots of space for a group our size. We had an absolutely amazing time and this place was an ideal location for exploring the food and nightlife scene in Austin. Ryan answered all emails and questions promptly. I stayed at the Downtown Rock Royalty Hotel and it was a fantastic place! The directions were easy to follow and the location was superb. We were close to 6th street and a quick Uber ride to wherever else we wanted to go. I had 12 people including myself and the AirBnb said that it slept 12 people and it was very tight. We also thought that there would be more beds and bathrooms. But I guess for two nights that you could put up with anything. There was more than enough space with the loft that everyone wasn’t on top of eachother but I would say for the next time, it would sleep 10, not any more than that. But Ryan was great and very communicative. Austin, itself, was an amazing place and it was one of the best weekends! this apartment is in a great location, very central. ryan was a great host. we had a couple minor issues when we first arrived and he was on it instantly. he was very eager to ensure our stay was perfect, providing recommendations for restaurants, markets, how to spend our time in austin. it was a great place to getaway w/ several friends for a long weekend. Great place to stay, and worked out well for our group. The numbering in the complex is a bit different, so we hunted a bit to find the apartment. Facilities were great, and location to downtown and our conference site was excellent. Ryan was a fantastic host and a pleasure to deal with. The house was perfect for our group of 8 and Ryan made sure to stock the house with food and drinks before we even got there. 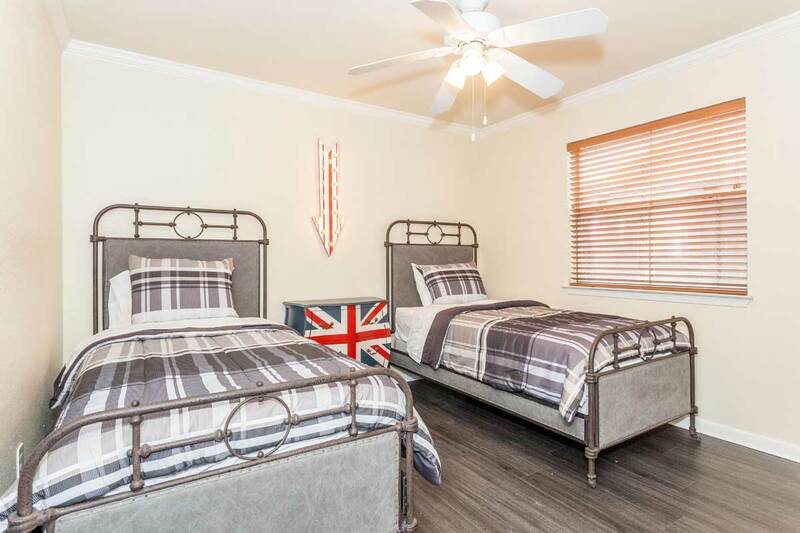 Anyone coming to Austin should definitely contact him and rent his houses as they are clean, spacious, and within a 2 minute walk of everything going on in downtown Austin. I’m giving Ryan and his properties a 10/10! Ryan was a great host. The place was described perfectly. Any issues we ran into he responded quickly and was willing to help. Definitely recommend him for future stays in Austin! Fantastic. Everything was as described and the location is hard to beat. Ryan and his team were more than courteous and helpful before, during, and after our stay. Highly recommend. Overall me and my group had an excellent experience. The host(s) were more than willing to help accommodate us with any needs during our stay. The unit was exactly as described. We had a great time! 9 of us stayed in the Rock Royalty (5 adults, 4 kids). We were very comfortable. Pictures on website are very accurate. Great details in decor. 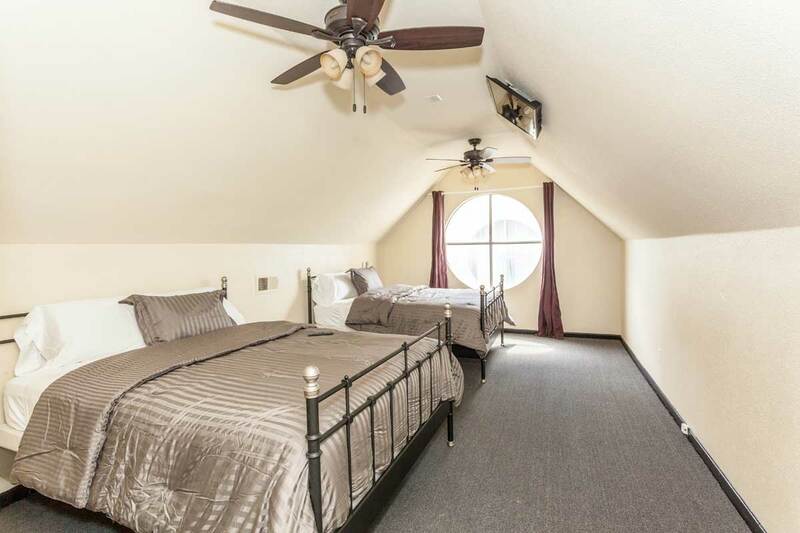 The 4 kids stayed upstairs in the loft and the 5 adults were split between the 3 bedrooms. The condo is in a great location! We walked to the Capitol, local restaurants, Mexic-Arte Museum and So Congress bridge to watch the bats. There is a great breakfast/healthy snack place across the street (Blenders and Bowls) along with Taco Shack and Starbucks. There is a great grocery store (Royal Blue) directly behind the condo which came in very handy for food and drink. We rented cars to visit places further away (Graffiti park, UT, Mount Bonnell, So Congress Street shopping, and the Salt Lick). Jared was fantastic in offering a second parking space for us since we had 2 cars. Jared/Thomas/Ryan were very responsive to all correspondence. Highly recommended! PS – if you like to run, great trails right around the corner. If too dark to run along the river, Congress St. (either north or south) makes for a nice run also. Great downtown location. Extremely comfortable beds. Ryan made everything easy. Amazing experience here! Very clean and convenient! Great location in the heart of downtown Austin. Good living room for hanging out with a group. Door codes made check in and check out super easy. Ryan was great to deal with and made it a very easy experience. This was a great place! It is super close to everything and very spacious. The beds are amazingly comfortable. I would totally stay here again! The house is in a great location and the whole process was very easy. Ryan was quick to respond to all questions. I would definitely stay here again! Awesome location, great host, worth every penny. Stayed here for work – great central location and comfortable bed to sleep in. Ryan and Thomas were excellent heading into it with communication. Thanks! This is a great location for heading to 6th street or Rainey Street. Lots to do nearby and parking available, so no issue’s if you want a car to go further afield. Plenty of room for the 5 of us staying the weekend and would certainly stay here again when visiting Austin. All the information we needed was provided up-front with lots of great tips for the area! Great location. Great space. Very responsive. We had a wonderful time staying at the Downtown Rock Royalty Hotel. Ryan and Thomas were incredibly helpful and accommodating, and the location is ideal for exploring the city. The condo itself was very comfortable and a great base of operations for enjoying all that Austin has to offer. Ryan and his associate Thomas were extremely accommodating given the travel disruptions we had due to inclement weather. The apartment itself was as described in the listing and easily hosted our group of 8, with easy access to everything downtown and a nice pool it really worked for everything we had planned for the weekend. Would definitely stay again when back in Austin. The place was clean, roomy, and close to all points of interest for us. Easy access from the airport and the keyless entry made coming and going a breeze. The host was easy to get in contact with, and made the whole process seamless. Would stay here again, and recommend to anyone who’s looking for a place to crash while partying it up in this super fun city! We had a great experience at this property! It was clean and inviting. My only complaint is that the complex the apartment is located in doesn’t have the units numbered in a fashion where the apartment is easy to locate. Our overall time at this apartment was fantastic! It was close to everything and made our trip to Austin even more enjoyable! We had a group of 9 guys for my brothers bachelor party. The place worked at great as the location was perfect. The condo was as advertised. I would recommend to others. The location was awesome and the condo had everything we needed for a fun weekend. We had a couple of questions/needs while there and our hosts quickly reacted. thanks for everything. Rock Royalty Hotel was a great spot for me and my friends to stay the weekend in downtown Austin. Ryan was incredibly accommodating and friendly throughout the entire process. 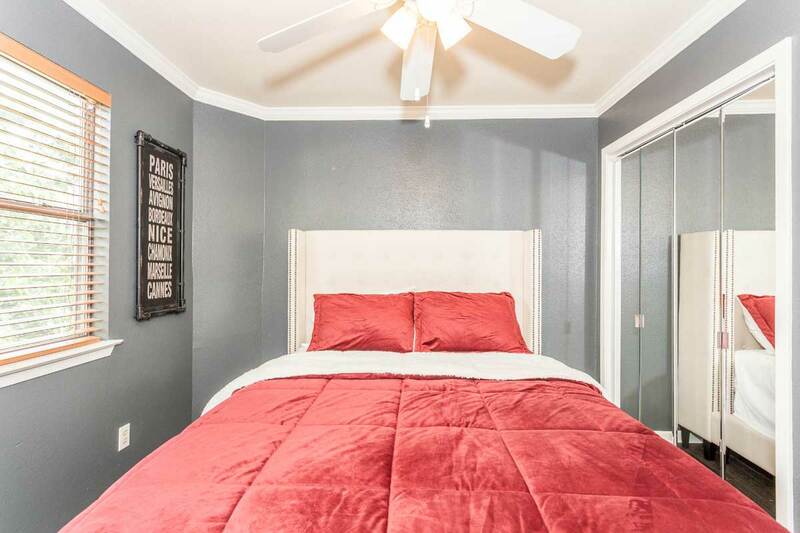 The house was perfectly located – only a short walk away from 6th street and Rainey. We had plenty of room for 8 people and had all the amenities we needed, including a nice pool in the courtyard. 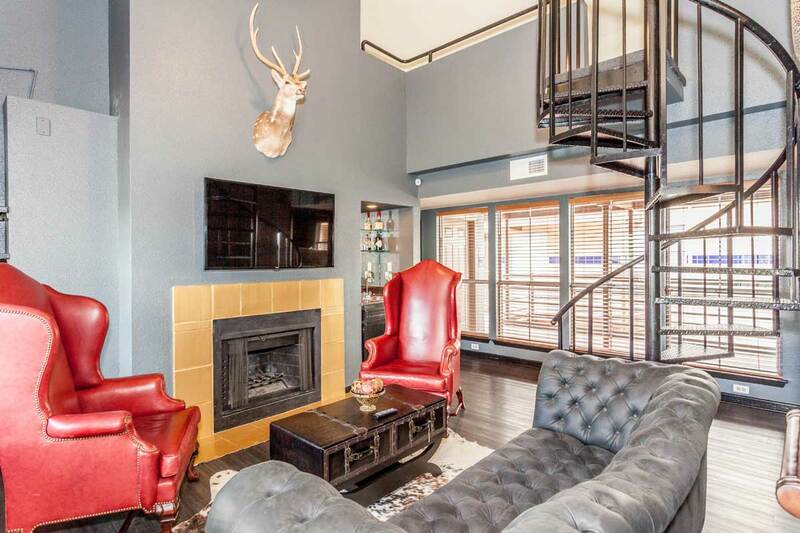 I would highly recommend this property to anyone putting together a gathering in Austin. I had a wonderful experience, Not only was I able to store my luggage prior to check-in but Thomas had every piece of luggage placed into the room once it was ready so that I would have to worry about a thing. I really appreciated his consideration. He responded to every question as they came up throughout my stay. The location was great and the condo was very nice and very clean. Amazing apartment in incredible location! Easy check in and very clean. Very comfortable for a big group. The experience at this space was exactly what we were hoping for. The location was perfect for all the happening spots, which means we could have easily walked to any number of great restaurants or bar. The staff were very helpful and maintained their property on a spotless fashion. I would highly recommend staying here. Great place to stay. Host very accommodative. The condo was an awesome home base for a weekend in downtown Austin. Location was great, everyone had plenty of space and Ryan was a great host. He even helped accommodate an early check-in and arrange for extra parking. Our trip was fantastic! The condo was beautiful, clean and in a perfect location. We will definitely stay again. Ryan was extremely responsive and offered to help every step of the way. He was open to adjusting the occupancy when we we’re quite sure if an extra person would be able to make it. The location of this place is absolutely amazing. Very, very convenient to a lot of things to do.. 6th Street and Rainey street were both totally accessible. The place is suitable for a bunch of people to hang out, with the dining table good for poker and even beer pong. The seating area and TV set up isnt great for more than a couple people to watch TV, but that’s most likely not a priority for people visiting a place like this. Place was great for a large group and so close to 6th St making it really easy to go out and grab drinks or food. The location is amazing. Ryan was very helpful. Had a question on the first day and he called back immediately to help and provide additional things to help make our stay even better. Only negative thing I would mention is the wifi is communal so is a bit slow, but it’s useable with some patience. The instruction in the email were very good. Everything we needed was there. Contact phone numbers , codes to everything (except the swimming pool) we figured it out ourselves. Very nice facility. 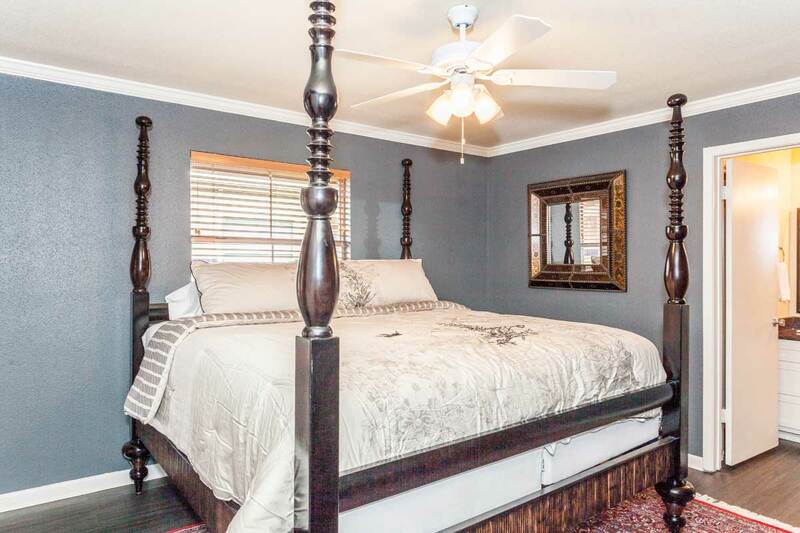 Very nice and clean with the biggest bed in Austin. Excellent location, short walk to good, live music and to conference venue. We experienced low wifi signals, but it was fixed shortly after we noticed the landlord. Recommend this place for a large group. Very accommodating and welcome! Rock Royalty was in a perfect location downtown. Highly recommend. Was super easy and convenient to get into the apartment and arrive early. We had no issues at the place, would definitely stay again if in town! We had a great experience at the Rock Royalty Austin. We visited for an 8 person bachelor party. The location was perfect (about a block from 6th) and central to all the hotspots. The accomodations were great. We essentially just showed up and had what we needed. Our hosts were very attentive to any questions during our stay but also very respectful of our privacy. Thanks for an awesome time! Ryan was very responsive and a pleasure to deal with. We stayed in the rock royalty condo for a bachelorette party of 8 girls and it was perfect! 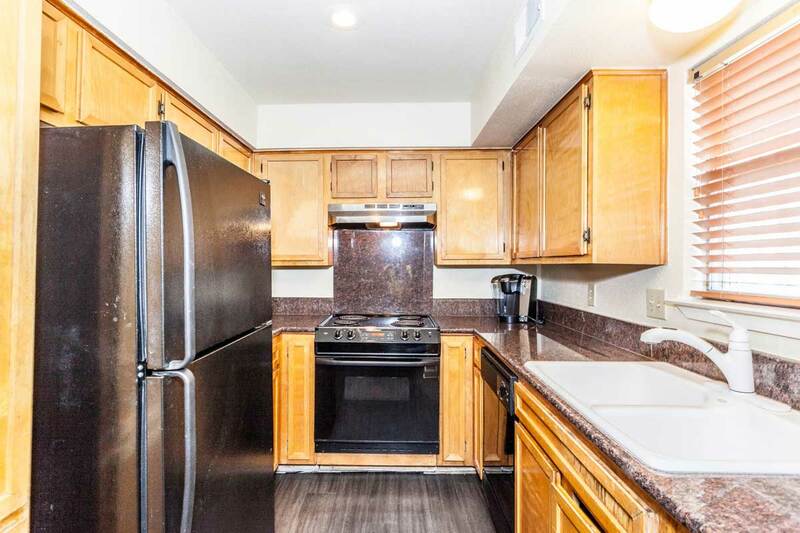 Couldn’t ask for a better location downtown, walking distance to tons of bars and restaurants on 6th and Congress or everything else just a short Uber. We had a blast and loved the property. It was spacious for all of us and included everything you need. I would definitely recommend this condo for a group trip! 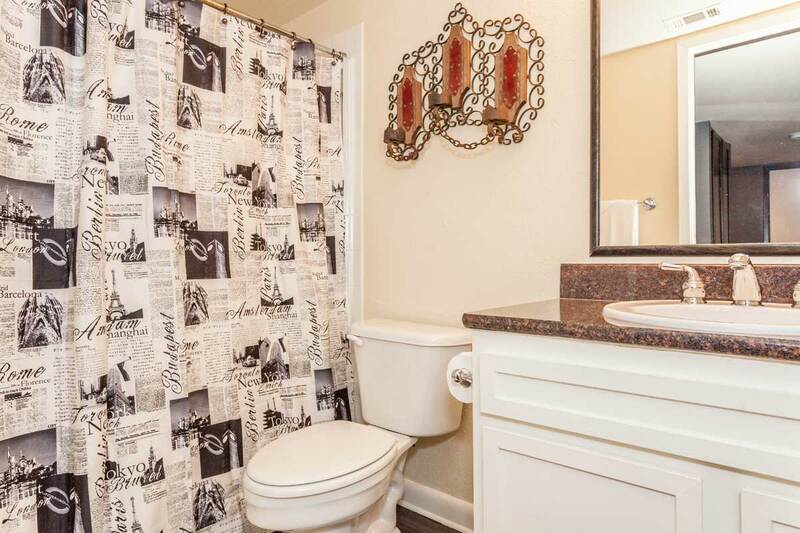 This is a lovely apartment and just as described in the listing. Well equipped, very comfy beds, and walking distance to plenty of restaurants and bars. Ryan’s property manager Thomas was very responsive to my questions and a minor maintenance issue. Excelente host! very patient and helpfull! The apartment has an excellent location! Ryan’s condo was great for our group. It was a perfect central location and very easy to get around the city. The pictures show the place exactly. Ryan was very helpful and checked in with us multiple times throughout our stay. The Suite was great; spacious, comfortable, and centrally located. Ryan was responsive to any queries or issues we had, overall it was a good stay. Second time staying with Ryan, and he continued his track record of being a great host. Apartment was more than comfortable, extremely well located, and Ryan was very responsive and helpful. Thanks!